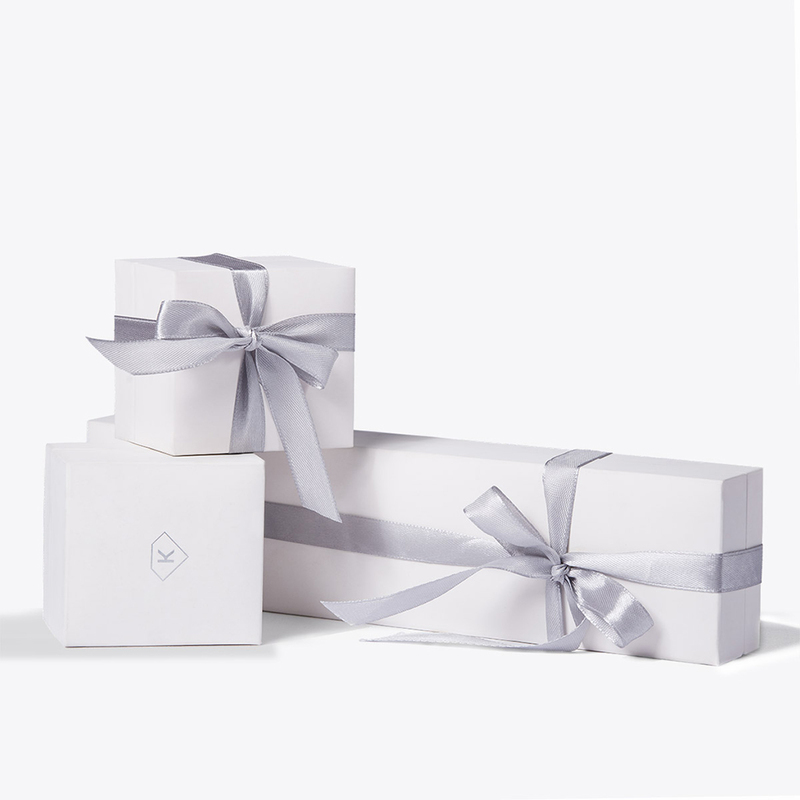 This elegant necklace lets the Earth's natural beauty take center stage. 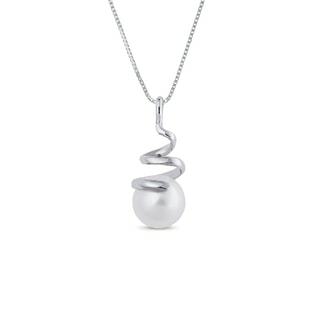 This necklace is crafted with an Akoya pearl in exquisite 18kt white gold. The necklace is 43 cm long. Freshwater pearls are cultured (cultivated) in freshwater (mostly lakes and rivers). 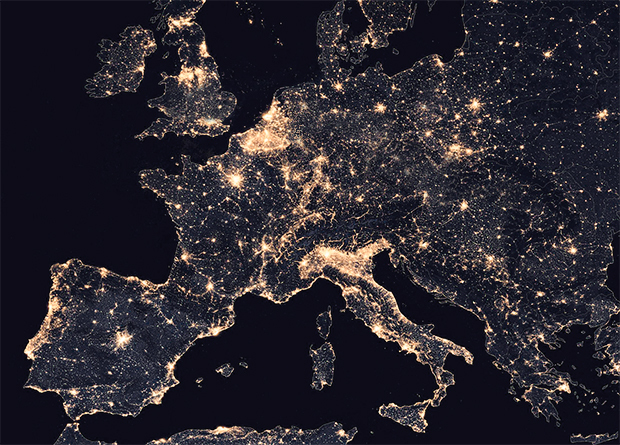 They take various shapes and achieve a different quality. You can encounter perfectly round pearls and baroque or oval pearls. Pearls are available, as it is possible to grow up to twenty pearls in one margaritifera. Akoya pearls come from China, Vietnam and Japan. 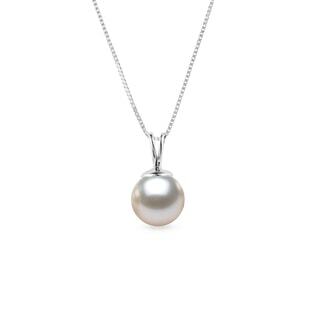 In translating the word Akoya from Japanese they are commonly referred to as "salt water pearls." They reach a size of 5 to 9 mm, and their color is most often white. In the warmer waters off the coast of China the pearls can grow up to two times faster than in colder Japanese waters. Tahitian pearls are cultured in a special variety of oyster with black borders, which occur in French Polynesia. These pearls are very rare because only a small percentage of the farmed oysters survive. Individual pearls differ from each other significantly, and their use in jewelry is very difficult. For example, to make a necklace one must sort through hundreds of them. South Pacific pearls are cultured in Australia, Burma, Indonesia and other neighboring countries. 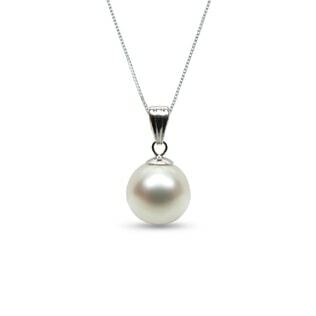 On average, these pearls reach a size of 10-20 mm and are very highly valued. Their color is usually white, yellow or yellow-orange. Sometimes they can acquire a pink, green or blue tinge. Mabe pearls are known for their hemispherical shape. This is because they are cultured by sedimentation inside the oysters on the walls of their shells. They are cultivated in China, Japan and the USA. Because of their shape, they are primarily used for the production of rings and earrings, to which they are fixed with the flat side down. Pearls are appraised for their size, shape, color, surface, and luster. 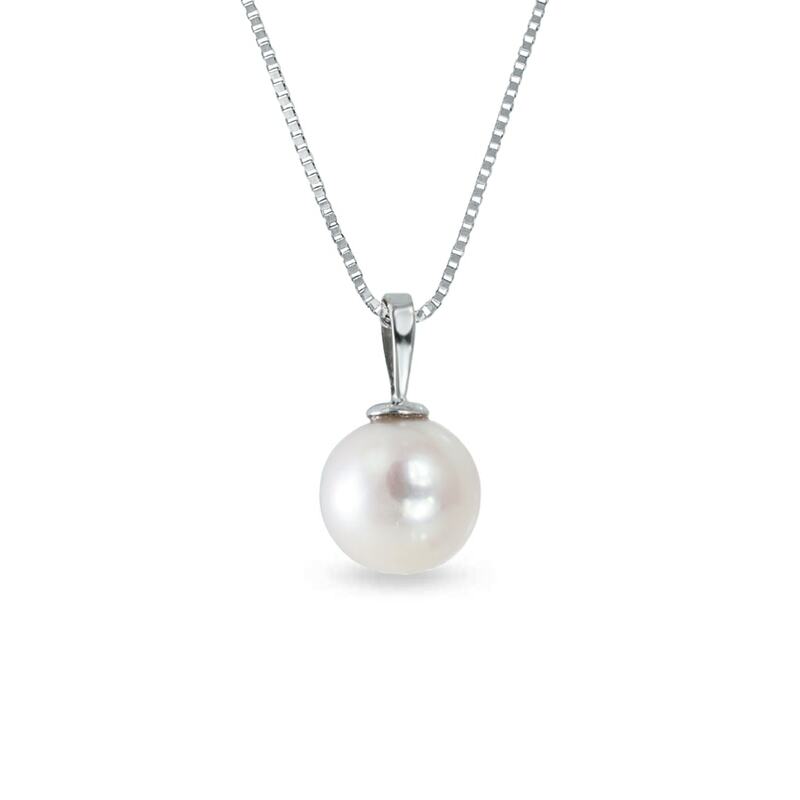 Most often you encounter round pearls, which are also the most popular. A round shape can be distinguished as perfectly round, off-round, and fluted. Other pearl shapes include oval, button, drop, and baroque pearls are also common. Saltwater pearls are generally rounder than freshwater pearls, which often are oval or other irregular shapes. The most widespread color of pearls of all kinds (except Tahitian pearls) is white. Pearls are also found in shades of pink or cream and are commonly colored in intense hues, such as blue, green, purple or black. The smoothness of a pearl is assessed in terms of their surface. The pearl's quality is determined by the existence of surface roughness, such as bumps and wrinkles. Basically the smoother the pearl, the better the quality. 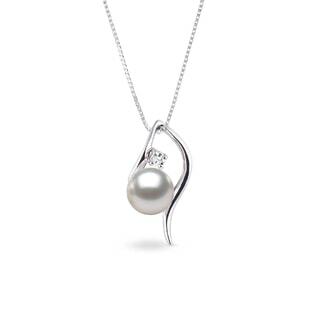 The intensity of a pearl is determined by the pearl’s luster. Pearls can adopt a matte finish, satin gloss or very high gloss. Shiny pearls have a higher value. The intensity of the luster depends on its type. For example, freshwater pearls shine less than Akoya pearls are less shiny compared to Tahitian pearls. Most of our suppliers use the simplified AAA-B scale for the evaluation of pearls, with AAA the highest quality. 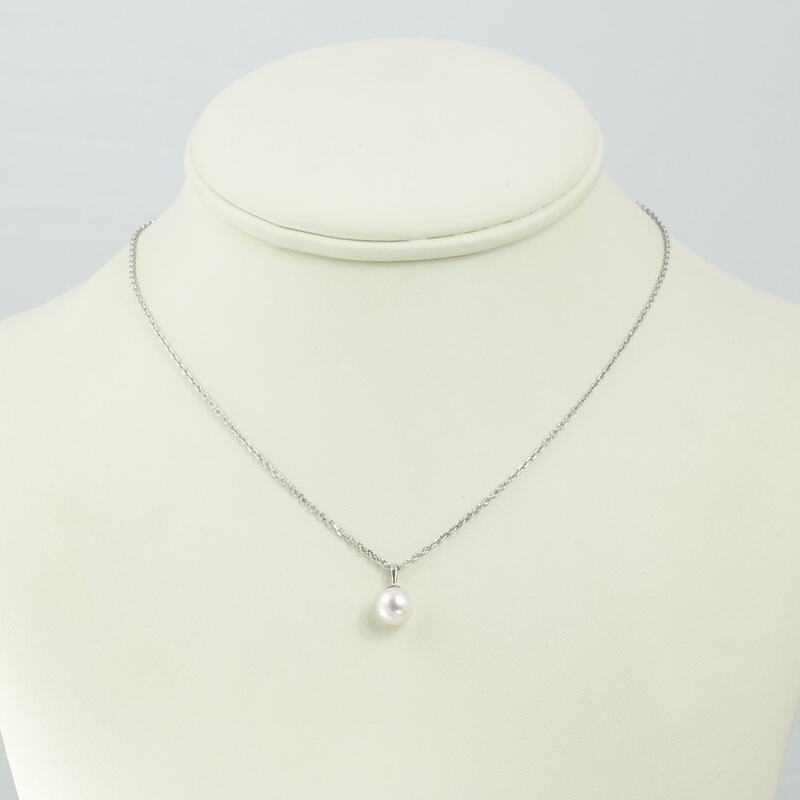 When you buy one of our pearls, you receive an appraisal of the overall pearl quality.